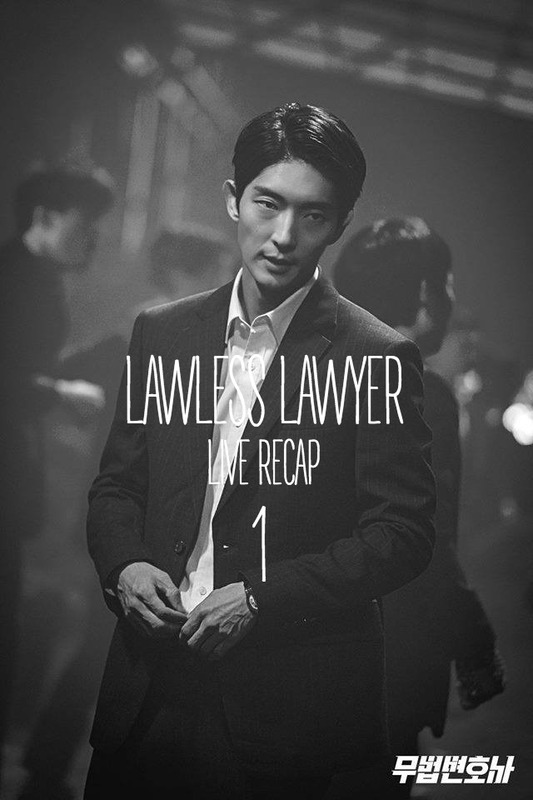 Here is the premiere live recap for Lawless Lawyer! It’s good to have a bit of fun back in my weekend TV watching time. I’m excited for the action shows that are premiering soon (Sketch, Are You Human Too, Mr. Sunshine) with Lawless Lawyer as the front runner. Let’s get into it! Find out all you need to now about Lawless Lawyer right here! – Filled in #1, #2 and half of #3. We’ll work on it some more later on today. – Updates All sections! We still need to go back through and edit all the grammar. The main guy, Sang-pil is driving in his sports car and blasting music without a care in the world. He drives right past a police motorcycle who quickly zooms to chase him. The officer is on a motorcycle and SP isn’t’ stopping the car for him. Finally, the officer cuts SP off, which forces him to stop. The officer says you know why I stopped you, give me your license. SP says okay but then he starts to flash a lot of cash in front of the officer. The officer laughs and asks him what he is doing. Are you bribing me? SP laughs, noooooo. The officer tells him to stop doing all thos dirty things, just get out. SP tells him that he is so strict. The officer tell him to come this way. SP follows. The officer tells him that they have a camera over there, it is safe over here. You offered me money before. SP asks when did he? My wallet was too big before, I jsut took some money out because my wallet was too fat. The police officer asks him if he is joking with him, give him his license, I will give you a big fat ticket. SP pulls out his license and his lawyer card. The officer wants to know what he will do if he is a lawyer. SP checks the officers ID. The officer wants to know what he is doing. He says, you just gave me evidence #7 for court. The video is on my car. (He points to his car) The evidence that you wanted bribery money from me for the speeding ticket. You threatened “my client” for the bribery money so I am going to take everything in cash and send it to my client. The officer asks him what he is doing. SP says he is busy so just give him the ticket with the highest penalty. Sp gets back into his car. Someone is on the speaker phone and asks where hyung-nim is! SP says he will be there soon. Someone asks where SP is (hyung-nim) SP says he is going to rescue him. Cut to some gangsters beating up someone. he told everyone that he is the best accountaint. Becaue of his accounting job, he made a lot of profit. Of course he likes him. But he punches him. SP gets there and meets with his #2 person. He asks how it is going. GS says it isnt’ going well, you can hear him crying. SP then puts his car back into gear and revs teh engine. GS tells him to wait! Wait! he hops into the car. SP quickly drives his car right through the wharehouse doors and spins the car to a stop inside the wharehouse. He gets out with his cell camera focused on all of them and a bright smile. He tells them that they can’t touch him at all or they will regret it in the future. I am this guys lawyer. The gangsters don’t care, they asks him how dare he come here? SP says he will solve this problem with the law, step by step. All the gangsters want to hit him and tell him that this is not a courtroom, why is he talking abotu the law. SP laughs and says that he knows it is hard for them to have a conversation, but this is too much. He points to one guy. He tells him to comeout. That guy punches him. GS gets irate and tells him that he hit his boss! SP just pops back up and says that from now on this is self defense, okay? This is expensive Italian clothing. I will take it off, then let’s fight. Someone grabs a knife and puts it to his throat. SP tells him it will be 5 years with a knife, 2 years without a knife. If you put it down, the judge will think about that, you will have a lower sentence than someone that started without a weapon. The man puts his weapon down. He tells them to just kill him. But SP tells them that they should look at their accountant book. This is all the money that you didnt’ pay the government for the last 5 years. Your threatening and attempted murder will have even more of a sentence, 17 years altogether, plus 2 million dollars from the IRA. My client made you lose $800k, to save that money, would you like to lose 2 million and go to jail? You collected all this money doing your dirty jobs, do you want to give all this money back to the government. The thug asks who will guarantee that he won’t tell anyone. Who will guarantee it? Suddenly, someone says, “I will guarantee it” this man is DW, SP’s uncle. He walks in with all his thugs in their black cars. He says he will guarantee it. SP calls DW, hyung-nim and bows to him. GD asks if DW was behind all of this. DW says it was because a good accountant wants to move to a new job. I only introduced him to a good lawyer, that is all I did. They have a three way stare off. Change scenes to JY. Her person trembling in her seat. The judge announces his sentence. He thinks this was over the line of protecting herself and this is not socially accepted behavior, it is not self defense. I sentenced her to 20 years in jail. the police take her away. JY confronts the judge and tells him that he sentenced her for more than the prosecutor team asked for! He tells her, how dare she question his decision. JY says that the plaintiff killed the husband but it was self defense and she was harrassed and suffered and teated less than human many many times. She was defending herself. The judge says that is no reason to kill him. JY says the husband was folowing her and stepped on her and hit her with his belt. The judge says she gave him a reason to hit her. JY says she was also stabbed! It was self defense! The judge tells JY that she is on her side because she is a woman. He pushes her and smiles. That is why women can’t be succesful. You have this perfume smell in the courtroom. Take her out. JY says it isn’t because she is a woman! It is because you miss judged this case! The judge turns around and says he isnt’ like her, his decision is God ~. JY punches him right in the face and the judge falls to the ground. SHe yells at him, just because you are a judge doesnt’ mean you are right. JY is suspended for 6 months. A lot of lawyers meet to discuss this. The judge comes in looking broken and bandaged, he says they should take her license away. Suspension is not enough! Also, they should talk to her law firm. JT says she regrets the violence, but it was really a wrong decision, she doesn’t regret that part. The judge says he wanted to give her a break because she is a girl, but he can’t do it. He wants her to go to jail for hitting a judge. He also wants an apology on the homepage so everyone can see it. JY starts walking up to him …. back then…(she puts her fist up)…I was…(he cowers)..not wrong. She opens her hand and places it on her chest. Then she says she did nothing wrong as a lawyer and a woman. But then, she suddenly hits the desk hard and yells, EY! SP is practicing Judo/Jujitsu when he gets a delivery. SP wants to know who sent it, but the delivery man says he doesn’t’ know, he just delivers it. The delivery is a small notebook that catches his attention, but we don’t know what it says. Cut to JY walking the street, she gets a text saying that she is fired starting today, April 2nd. She rolls her eyes and keeps walking. But it looks like it affects her. SP is also on the street, he looks at JY walking off (or he is looking at the news). There is a murder suspect for the mayor. A police officer killed a mayor. Mun-sook, MS will take the case. Hyung-man, HM is denying that he did it. SP calls, hyung-nim and says it is me. Cut to SP meeting with his uncle for drinks. He says he will open a lawyer practice. Someone sent him this [notebook]. DW says, the right moment you told me about is now? SP says he is going to Gisung because of this (notebook). DW says he is going to Gisung City because of this memo? SP says it is not only because of that. DW asks if it is because of that girl? Sp looks at him for a moment and says yes, big brother. DW tells him to take someof his kids with him. SP says thank you, but I will go there by himself. DW says he is so stubborn, just like his mother. SP smiles and tells him, sorry big brother. DW says he doens’t want to hear hyung-nim today. Sang-pil…… SP says, yes Uncle? …….Uncle tells him to drink and they toast. Then we cut back to JY walking and looking at the Blind Justice woman statue. She says she wants to live righteously like her, but living is very difficult. Then she looks at her phone and ponders what she should tell her appa and apologizes to him. She walks off, discrouraged. SP walks up from behind the statue at that moment. Is he following her? He starts looking at the statue. VO – Time passes, everything passes when time goes by. That is only for someone that has never experienced any pain in their life. GS – Hyung-nim, it is my first time to see this much fog, I feel like I am in Heaven. GS looks around at his old city. VO – After my mom left, my time stopped. They pass an accident on the street. SP looks at it and then has a flashback to his mother. Umma – Listen to me , don’t ever come back to Gisung, doon’t trust anyone in Gi-sung, anyone. No one. He blinks back to the present moment and the radio kicks on. Radio – Historically, being a judge is a mans job, But there is a female judge who is famous internationally even in the Asian version of Times magazine. We are going to talk with Judge Cha Mun-sook. MS – Hello, this is MS…. GS – Is Judge MS in the Asian Times magazine? A little while later, SP is on the passenger side of the car now. They continue driving. At the same time, JY is on the train. We see both JY and SP in the same screen for a moment. The car and train drive next to each other as we see both JY and SP traveling to their destinations. On the train, the overhead announcer says, the next stop is Gi-sung, if that is your destination then have a safe trip, bye-bye. JY gets off and goes to the beach to look at the sea. SP also drives right by her, but they don’t notice each other. SP goes to a building. GS says the 5th floor is a loan shark office, but they are tiny thugs that lend money to the towns people and use an illegal method. Two guys run by and say that SP has a nice car with a little Busan-ish accent, they runinto the building. SP says what method do you think will work for cold and hungry wolves? GS asks if he wants to take them in. SP says he wants to open his office there. GS thinks this building is over 40 years old and might collapse. But SP just goes outside with GS yelling that he will collapse their instrument (weapons) and go up after. It is a rollicking roudy place inside with a lot of people talking and laughing, someone’s on a table, it is like a frat house. SP walks through like he owns the place. The little thugs think he is a customer, but they don’t think he needs money but they also think people have their own reasons. SP reads the nameplate on a desk and throws it to one of the thugs. This thug is Gum Gang, GG. Then SP walks to the window and thinks that it is the same. He goes to a desk and sees his name carved into the wood. He touches his name with his finger tips and we have a small flashback of someone carving. Flashback to Little SP and his Mom in the office. Little SP – Why did you put my name there? SP – It is okay, this is all experience right? Umma – Bong Sang-pil, you know it well. Little SP – When I grow up I want to be a lawyer. But how do you win, you don’t have knives or swords. They fist bump in solidarity. GG is fed up and asks SP why he is there, do you want their money or not? SP basically tells him that he needs to empty this office. GG laughs at him. Empty what? SP repeats what he said. Empty this place, your office. GG laughs, did you see a ghost on the sea or something? How dare you show off in someone else’s workplace. SP says, if you understand it when I tell you once, it is not that easy. GG tells someone to lock the door. SP takes off his coat and says that he should do it when he asks nicely. The man thinks he is joking. Appa is cleaning when JY shows up unnanounced. He says, who is this? Is this my lawyer Ha? JY asks him what he is doing. He says the same thing. She sits next to him and asks him how he can eat these swollen noodles his entire life. He just laughs. When it is swollen it tastes twice better and he doesnt’ feel hungry too quickly. JY asks her father if he is curious as to why she is there all of a sudden. He starts eating. She asks him, if she is fired as a lawyer, will he still say, ‘Is that so.’ He asks his daughter if she wants to go to MS’s courthouse. She says yes. Cut back to the thugs. SP thoroughly beat them all up. GS comes in and holds one of them, what did you do with my hyung-nim! SP is holding his side, but he says it is constipation, perhaps he should do an endoscope? Then he addresses GS and says it is all done, he finished everything already. He sits up and smiles. SP tells the thugs that they can talk to director GG when he is not there. GG thinks he is a famous director. GS wants to know what is going on. The thugs basically tell GS that they will work for SP and they are his younger brother now (a gangster thing), welcome to Gisung City! Meanwhile, JY and Appa are in court. Appa draws the courthouse a little bit. He tells his daughter that he knows the reason she came down and everything. She apologizes to him and Appa says it is embarrassing to see MS. JY says that judge MS will undrestand her. He asks her if she is bragging about it. SP is in the audience as well. MS prepares in the back. Appa asks JY if she still hates Yeon-hee. JY says other appa’s are always stupid about their daughters, I am so unfortunate. Appa says they only need one stupid person in the family. JY says she is an appa fool and they both laugh. Then MS comes in. MS sits and says that a lot of people came today. This is the best city in Korea. It is the city of justice. She is always nervous/tense because our citizens are interested in the law. Today’s case is about a woman who was enduring continuous violence from the husband and killed the husband in self-defense. I was a judge for 30 years in our city. Giving sentences is always the most difficult time for me. I will give the verdict. SP watches this case closely. According to the law, murder is not justified due to the cost. No one should defend any violence with murdering. However, my judgement is different against violence with physical dominance. Men are a lot stronger than women so it is hard to defend themselves. Women are trained to be victims under continuous violence and give up their own life and live only for their children. To avoide violence, the plaintiff killed her husband, I am not confident to judge her. She was under maximun threat of being killed herself. It was self-defense to protect herself. My judgement is not guilty. Everyone cheers! Then we cut to the end of the trial. Appa and JY walk out. Appa says MS is like Mother Theresa of this town. She has good judement. JY thinks she is super cool, how can she do this for so long and so consistently. Appa checks his phone, he looks nervous. JY thinks this kind of work is something you have to be born with. But she sees that her appa is nervous about something. He says it is nothing, he has a customer at his business. He tells JY to come back softly and say hi to MS.. Just then judge Yeon-hee, YH, walks up to JY and talks to her. She heard that she was fired. JY says she was suspended, not fired. YH thinks you should lawfully challenge the judgement, not use violence. JY agrees, she should have done it gracefully like YH would, maybe her blood is bloinging hot. MS says, if your blood is hot, then it is a good thing, that means youa re still genuine. JY smiles and tells her it was a good decision. She asks when seh came back, because of the judge thing? YH says yes, she punched the judge. MS tells her that hes thinks that judgement was wrong. Don’t be sad because you are suspended. Jae-hi, when you endure something that you shouldn’t endure, it is losing, okay? JY smiles and says yes, judge. MS smiles and walks off. JY grabs the form and talks to her father and asks what is going on. Did he borrow money from them? The thug says that she should explain things to her father so he will understand. They give her some paperwork and say they will be back soon. JY asks what this is. What happened? Then we cut to her running to the business that SP is now in charge of. She goes upstairs and runs right to SP. He is looking at some old law books that has a small square hole in it. She charges in. GG says, how dare you come ~. But she just goes straight to SP and points the paperwork in his face. SP says this customer has a tough mouth as a first time meeting. She throws the paperwork in SP’s face. Are they doing this because he didn’t pay the interest? SP says she can’t even call the police when someone hits him with paper. You use your violence very smartly. She tells him that the law changed this year. The highest annual interest is 24%. How can you charge 45% interest, that makes no sense. SP stands up cavalierly and starts shooting law things back to her. He says yes, with money and loansharks laws #7, yes, we can reajust it. But you are saying that we havea limit on our interst, but how come you have no deadline to pay it off. JY says this is an unregistered loanshark, right? Shall I call the polcie? SP tells her, 1332, call the government office directly, for finances. ITS A LAW BATTLE. She calls the number. He tells her that they lent them money lawfully but you say that you will not pay it back. that is really unethical. It is morally lax. SHe says, what did you say? SP says he heard her license is suspended because she hit a judge. Don’t go to far, you might lose your license permanently. She asks how he knows that, is he following her around? He whispers that he doesn’t follow women around (background check) unless he is interested in that woman. JY mutters, this illegal loanshark guy! And she punches him right in the face. JY is taken right to the police holding cell. The police tell her that the victim says no agreement, ever. JY yells that she wants to sue the loan shark also! Back at the loan sharks, SP and GS are confronting the loan sharks about threatening people. How can they do that?!? They grow up poorly but they take advantage of poor people. GG asks what he can do, this is the only way they can survive. Cut to SP in his law office. He looks out over the Gisun nighscape and we go into a flashback. Umma is running through the rain on a dark street. She goes to her law office which is on the 5th floor and quickly locks the door. A little SP wakes up and asks her where she went. She is startled and asks him why he is there, you shouldnt’ be there I told you to stay home. he says he missed her and just wanted to see her. She tells him that he shoudnt’ be there. Outside, someone arrived in several cars. Umma tells little SP that he needs to listen to her from now on. She writes a note and give it to him. She tells him that this is the address of his uncle, he is your uncle. little SP didn’t know he had an uncle. Umma says, if something happens to Umma then go to your uncle in Seoul. But Little SP wants to know about her. She says, listen to Umma, don’t come back to Gisung City, trust no one in Gisung, no one. Keep this in your heart. Never ever come back to Gisung. The gangster gets out in the rain, it is Ahn Oh-ju (OJ). he goes to the law office with all his thugs and tells Umma that she should just go to the lawroom, but seh has gone too far. She tells him to shut up. he asks Umma where the memory card is. She says she doesnt’ have a memory card. He says, you dont’ have it? He puts his head to hers and says to tell him. She says she doenst’ have it! he says, okay, okay, then he sits in front of her and says that he trusts her, it’s okay, it’s okay. But he says he thinks she is not alone there. He throws a little kid umbrella on the table. Then he yells for the kid to come out. She says that a kid is not there. But he tells her to shut up. He says if you dont’ come out, something will happen to your mother. I will count to three. One….two…..three…..SP comes out and yells why are you doing this to my mom! there is a scuffle as the mom tries to protect her son. But she gets pulled away. OJ tells him he is a good boy. She yells not to touch him! He asks her one last time, where is the memory card. She says that she doesnt’ know. The thug puts his hand on little SP and holds his neck as if he will break it. He says the kid is not guilty, you know. Umma yells not to do that! She pulls out her law book and it has the memory card. OJ calls someone else who is in another car that just pulled up. He is hidden from our view. OJ asks what he should do with the kid and the mother. OJ says he found it, what should he do with the lawyer and the kid? But then little SP swallows the memory card. OJ is all like, you look at this….your son….I have a hot temper, I cannot wait for him to poop. OJ yells for them to bring the knife. Umma yells and yells for them to stop, seh tries to fight them, but she is quickly stabbed by OJ. She falls to the ground and reaches for little SP. She pushes him into a room and the door is locked. The thugs try to get in. But little Sp breaks out and walks on the building like he is Jason Bourne. it is precarious as he almost falls many time. But he manages to find the perfect place to fall. The mother is dead on the floor. the thugs all search for him. The little boy sees OJ, OJ bows to the person in the car. SP sees this then runs to the police and says that they should help him, that person killed his mother. He saw it! HM is the officer and asks him who. Little SP points to OJ. HM asks if OJ saw this, he says he saw everything. OJ tells HM to catch the kid. It looks like the police are in on this entire thing. The police take the kid but OJ talks to HM on the phone and says that they need the memory card, they have to take it out of him and take care of him kid later. HM asks what he shoud do with the woman, OJ says just burry her with him. But a woman makes a sound in the trunk. They wonder if they facened it well. But they think they shuold turn somewhere. HM points to where they should turn. Little SP aint no fool and attacks HM. He bites HM hard in the arm which causes the car to flip! A woman was in the trunk of the car, it looks like she might still be alive? Little SP gets out of the car, but HM grabs him and says he will kill him. The woman wakes up and holds the bad guy. She yells at little SP to run away. Little SP takes off his jacket and runs away, but he turns back and sees the woman, his eyes grow wide. SP makes it to Seoul and finds uncle. Uncle is in teh middle of a huge street fight on the rooftop of a building. He wins it along with his gangsters. Little SP goes up to him afterward, but someone tells him to take some money and buy some food ( basically go away). But then little SP yells and says, Choi Jin-ae! Uncle knows that name and wants to know how this kid knows it. He wants him to say it one more time. SP says the name again. Uncle asks him how he knows that name. SP says that is his mother. Uncle says his mother and him are strangers from a long time ago, just leave. But Little SP says she is dead, they killed my mom in front of me, those people…. He starts crying. Uncle hugs the crying little SP and pats him on the back. Cut to a sunny day where little SP is eating with DW at DW’s home. They sit outside. Little SP asks if DW is a gangster? He hits people and gets money. Uncle kind of chokes on his food a little bit. He says that he is. Little SP asks him to teach him to fight like him. Uncle asks him why, does he want to get his revenge for the guys that made hsi mtoher like that? Uncle says he idnt’ talk to his mother because he is a gnagster, so how can he make his own nephew a gangster (he has a southern Gyangsangdo-ish accent). LSP says he promised him that he will be a lawyer (strong Gangwangdo accent). Mom told me I should never go back to Gisung, but when I am strong, I will go back to Gisung. Sp goes into his office and to his desk. He pulls out the usb at his desk and puts it in. Umma – All the truth is inside. SP, you promised your mother that you want to be a good lawyer, like Umma, you should keep your promise, I will always be watching over you, okay? Sp goes into the jail with GS. GS hands out their business cards to all the people there, but SP tells him, lets go. They go to meet with JY. His name tag says interviewer. JY wants to know why he requested a meeting for her. He says he is not here to see her, he is here for an interview. She asks why they are here mroe that. He says it is to be an office manager, he picked her. She sighs and asks him if he even knows what a law office manager does. He asks her if she sees this. He points to his lawyer pendent and says that he is a lawyer too. Your father owes us money, but he has no way to pay us back. I am a gentleman enough to not tell you to give up your body parts (sell the body parts). I want to hire you as an office manager. JY is all like, looky here, I am a lawyer. SP tells her that she has no job because she is suspended for 6 months after hitting a judge. She tells him that he does illegal loan sharking and background seraching, you are trash. He tells her that she lost that case because she was bad, but if you just hit the judge, you will feel good, but what about your client that only trusts you. She tells him that she doesnt’ want to hear those thing from someone like him who is a gangster-lawyer. I saw a lot of lawyers like you. Those lawyers that think the client is not a human but a job. He says he is not a good lawyer, but someone needs him. SHe says people with a lot of money and issues need someone like him. He says they are the ones that need the best law practice. She says if you do this, why did you become a lawyer, you should just be a gangster. Why did you learn the law? SP says that you have to know the law to sway the law. Don’t you know that? She tsks. he says from now on, he will be the one that asks her questions, this is not a meeting, it is an interview, he is her potential employer. I will give you an option, if you work hard as a manager, I will make you a aprtner after your suspension ens. She says, me? Why? Become a partner with someone like you!?! He stands and says that someone like her with a loud voice and is agressive is a good person as his office manager. he will let her know the interview result right away. SP gets up and tells GS, let’s go. Cut to the polcie letting JY out of the holding cell. He tells her that she has good connections. Which line is that connection? She just sighs and pulls out her phone. her text says, CONGRATULATIONS, you are hired as a manager. She sighs and walks off shaking her head. JY goes to meet with her father and asks him why he told judge MS? Appa says no one will help them in this situation except tehe judge. JY asks why he did that! And throws a little fit. Appa says he sent his daughter to a holding cell due to his photo business and showed all my embarrassment in front of MS, lets wrap it up! The photo business! JY tells him that he shouldn’t. But appa says that he will quit the business and pay off all the loan shark money. JY ask sabout mom, what about mom? What are you going to do? You are the one that mom won’t find us so you can’t close the business. Appa says, Jae-yi….I am sorry….Appa is sorry to you. Afterwards, JY holds her father up as he drunkenly walks down the street. He says he used all his loan money to pay for her law school. As a father, he should do at least that much I will take care of everything, don’t worry abotu anything! YH shows up. JY says she doesnt’ want to talk to her. YH tells her that if she hears this, it will ruin her mood, I am the one that sponsored your identity. JY thanks her for it. YH says not to thank her, she only did it (acted as her guarantee) only because of MS. JY says thanks and bye (Felicia). She helps her very drunk father into their business and we see a photo of MS standing with her judge robes on as another man sits with his judge robes on. JY goes to work, it is her first day on the job. TEveryone is still acting like a frat house (though not as bad as before) and welcomes her as her first day at work. SP shows up and tells her that her first day was one week ago, but anyway, are you ready to work? JY says she will only work enough to pay for her fathers debt, however much you calculate. SP asks for teh interest that her father is not paying. JY sighs and says she will pay off everything. He asks when she thinks the work is the most scary? She says when the borrower doesnt’ pay it off and dissapears. He says no, it is when the debter is very enthusiastic, like you are. SP already made her business card and sets them on the window sill counter where his carving is. On the card it says Lawless Lawfirm (Fighting Lawfirm) and the carving says Bong Sang-pil, the King of Lawyers (Or Lawyer King). JY repeats this…Lawless Lawfirm, Lawyer King? That is a good name for a lawless guy like you. Sp stands and says that she shouldnt’ use that expression for someone who wins over the law. He walks over to his team and throws them the broom. He throws her her bag and says that he will tell her the first case of their law firm. JY takes her business card and rolls her eyes to the title, Law Office Manager. SP drives off with JY. They go to the jail? It looks like they are driving into a jail. they get out. JY quickly walks ahead as if she doesnt’ want to be seen with SP. SP jogs up and asks if she dates anyone. She asks if that is what he wanted. He says seh didn’t date anyone because her response is too strong. SHe says that he said he will investigate the case, but that is all an excuse, he is showing his true self when they are alone togehter. He says they are out for work. But she says she is just paying off this debt, publically, she opposses inner company dating. He says, inner company dating? that is burdensome, so now you think of our lawfirm as a company? She replies that she personally really hates some lawyers like him that pretend to be a lawyer, she hates those people. Why do you say banmal? He says it is because she hit him. He feels comfortable with her because she hit him. She says he keeps continuing to say banmal, so she will talk in banmal also. He tells her that they are a good team already. She scoffs and goes inside the jail. SP tells her that this case will be very easy for her except for three things. She says, manager Ha? Haha. He says 1st, he already has a lawyer. She says they have their own rules, you can’t steal the client that already has a lawyer. SP says it won’t be too easy because his lawyer is the best Hynagpan lawyer (A local judge who became a lawyer). She is surprised that he knows what Hyangpan is. 2nd, the prosecutor that we are going to fight against is the best prosecutor in Gisung, YH. JY has no reason to oppose this. What is the third one? 3rd. the judge is MS. JY thinks really? What is the crime? SP tells her that it is murder, he is the prime suspect for murdering the mayor. Here, read this. he gives her the paperwork. Cut to the Law office building. GD drove up to it and his gangster friends tells him that this is the place. GD calls OJ and asks him if he is okay. He is just reporting to him, he came back to Gisung. OJ asks him the occassion. GD says he came there to kill a lawyer. OJ laughs, a lawyer? Jail. JY wants to know why SP wants to take this case? The prosecutor has so much evidence. SP says she was not intersted in this case but she researchet it so much already? he laughs. She wonders if he owes something to the client. HM comes in at that moment. SP introduces himself and puts out his card. HM just sits and asks if he knows him? SP smiles and says that no one knows anyone from the beginning. Please change your lawyer. HM is all like, lawyers sell themselves now also? JY is embarrassed. SP says he was pretty well known in Seoul. HM slides his hard back and says that he has a good lawyer. This reveals the bite mark on his arm. Flashback to the night SP’s mother died. HM is the police officer whose arm SP bit. SP smiles at him and says, Detective Woo, I will make it so you leave this jail. JY looks at SP like he is crazy and the music kicks in. Wow! So far so good! We’ll have the preview up sometime today. JY – You are a lot worse than what I thought before, you trash lawyer. OJ – Gong Sang Pil, tells him to choose one or the other. Give up the case or give up breathing. JY – Bong Sang-pil doesn’t even have the basics, but strangely, he bothers me. SP – I am the son, I will kill you…outside. Thank you for recaps. Exciting show. Thanks for the recap …love LJG.. where to watch ?? This show has something about it, I love this first episide. Wqw! You are our life-saver. Thanks a lot!